Johann Michael Roggenbuck came to the States in December 1881. Left Hamburg at 23.Nov. 1881 and arrived New York at 12. Dec. 1881 with ship Gellert. This family moves from Melrose Park(?) 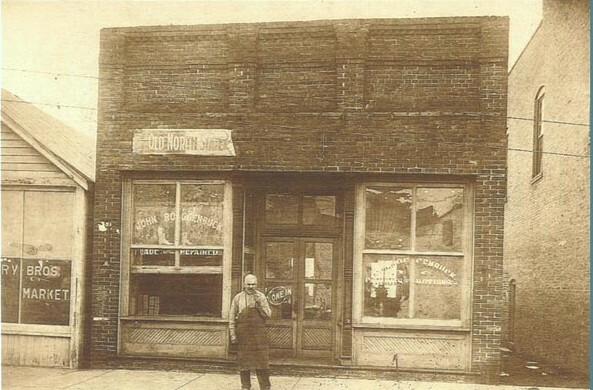 to Tuscumbia, Cullmann, Alabama. Franz Schmuck family came in 1885 with Ship Albano to the US. In the passenger list the origin is given as Stegers/Westpreussen.
? | Walter Hopkins Cox 1884-1955 | Margaret Theresa Cox 1920-1999 __ Kathy S.
Added the lastname of Anton Goike wife Constantia Potrykus oder Potrikus. In the church book (Tuscumbia) this is written as Patrickus!! This name is from the Danzig area too. 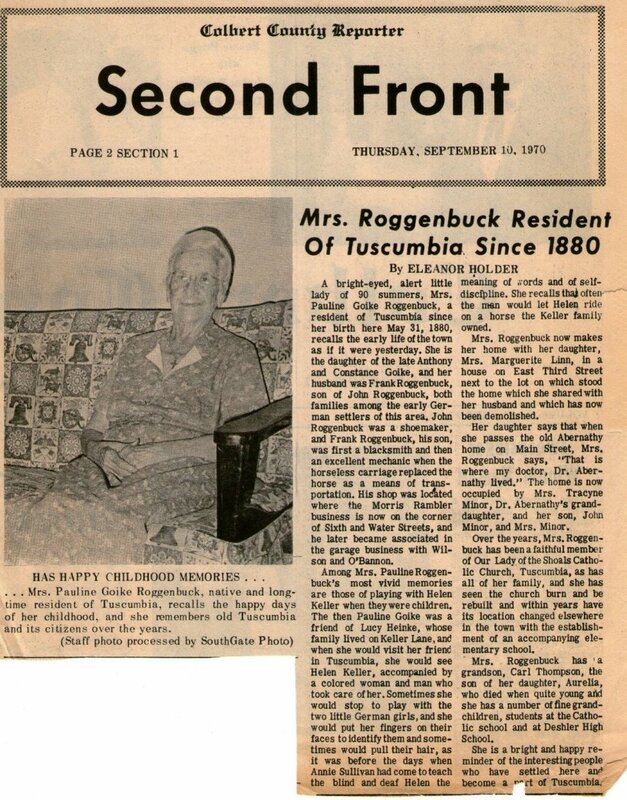 Frank Roggenbuck 1938 and Rosalia Mary Roggenbuck 1944, both Tuscumbia. 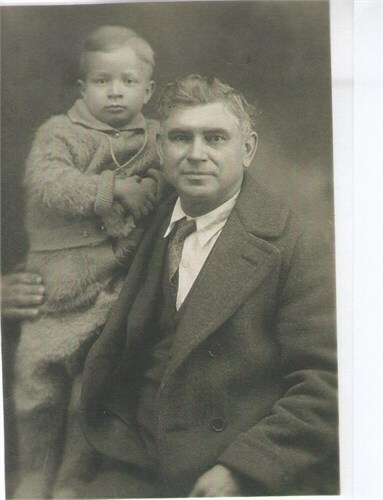 Parents of Pauline Goike added census data 1910. Added the first letter of the first name of J.M. Roggenbucks father. Corrected his birth year to 1850 instead of 1849. Added age of Franz and Gertrude Schmuck, also the immigration years and their origin. Johann Roggenbuck and Rosalie Schmuck are the couple that migrate to USA in 1881. In the Hamburg passenger list in November 1881 is stated that they left Hamburg with one daughter and two sons. Johann Peter born 1879 does not appear in any US source. Probably he died as a baby in the US. Francis and his son Paul. Date unknown.